HOUSTON, TEXAS — Even before facing Hurricane Harvey last August, which is considered one of the costliest tropical cyclones on record, Karla had weathered many storms during her life. After enduring abuse at the hands of her father and other family members in Honduras, she escaped her home in search of a better life and to reunite with her mother in Houston. St. Michael’s Homes for Children, a Catholic Charities’ shelter for unaccompanied minors, took the 14-year-old in as she waited to reunite with her mother. Karla received intensive counseling to help her cope with depression caused by her prior trauma and to help her come to grips with past suicide attempts and self-harm. The young teenager finally reunited with her mother, but her joy didn’t last, as Harvey struck shortly after. According to a post on the Catholic Charities’ website, the first floor of Karla’s family home was severely flooded, and they were forced to evacuate. The family lost all their personal items, including a small sketchbook and crochet materials that Karla used as therapy. She received post-disaster counseling from the organization intended to help calm her fears and provide the tools for her to move forward. Karla isn’t alone. 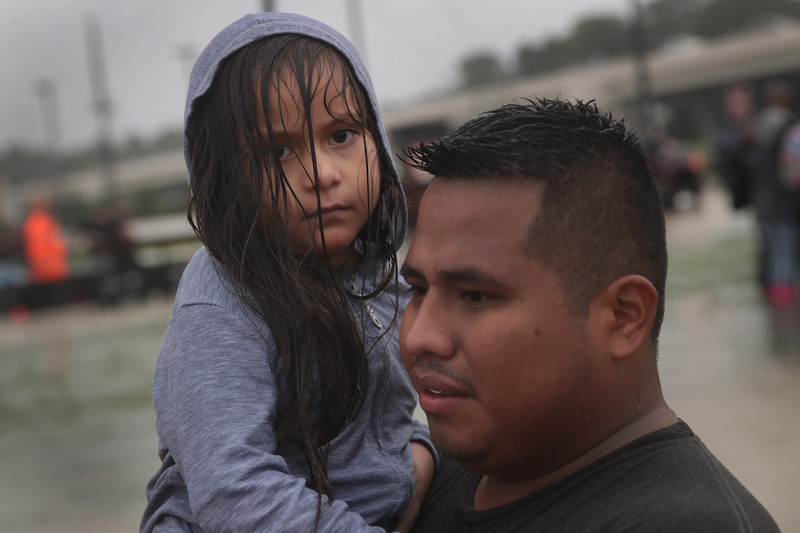 Catholic Charities’ staff said thousands of people, including many children, were traumatized by flooding and displacement caused by Harvey. To complicate matters, undocumented Latinos may refuse mental health services for themselves or their children for fear of risking deportations. In some cases, parents may not understand the benefits of counseling unless trusted professionals meet with them individually. 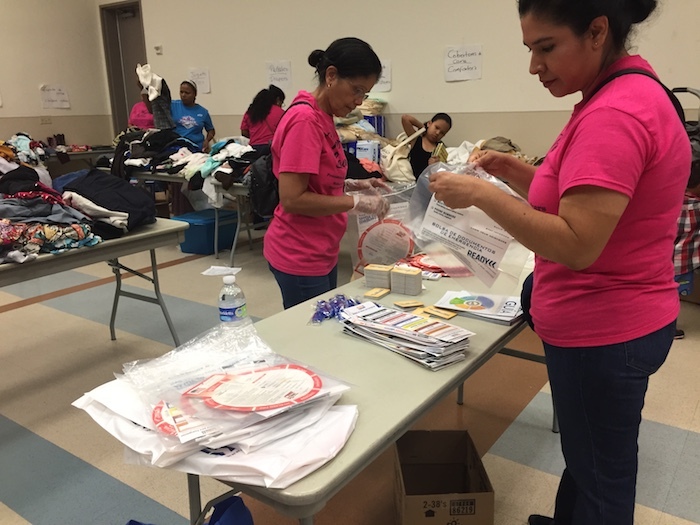 “Some of our promotoras [community health workers] told us of issues with neighbors not wanting to leave their homes after Harvey. This all stems from fear and distrust of others,” said Venus Ginés, president and founder of Día De La Mujeres, an organization promoting healthy behaviors in the Latino community by providing culturally and linguistically proficient services. She told Latino USA that the organization stresses the importance of activities for children and families as they deal with a new reality. “We may be faced with hardships but as a family, which is our cultural treasure, we’ll be able to solve a lot of issues,” Ginés said. After Hurricane Harvey, some children experienced separation anxiety when they parted with family or pets. Younger children who may have already mastered potty-training began wetting their beds at night. Some had trouble sleeping. Other children were completely distracted at school. And some expressed their frustration through outbursts and tantrums or downright refusing to go to school. 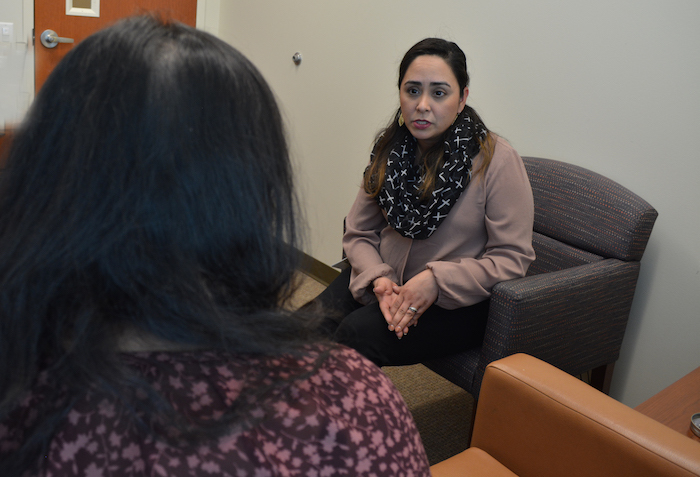 “Some kids were not as expressive, were very reserved, and avoided talking about it,” Alejandra Restrepo, the lead school counseling clinician at Catholic Charities, explained to Latino USA. The unique needs following Hurricane Harvey resulted in support from Mental Health America, which provided resources and information to Catholic Charities on how to handle post-disaster trauma. The organization follows a holistic model that also educates teachers and parents on how to help children of varying ages cope with this type of trauma. Counselors began offering services via group sessions as soon as they were able to return to schools. Children in need of more intense and personalized counseling are still receiving services. In some cases, Restrepo said the organization is still working to identify children in need of counseling. Part of that identification comes from ensuring parents understand the counseling services they may qualify for and how those services work. Restrepo said community members are more likely to open up when spoken to in their own language and ensuring policies and procedures within a counseling agency place priority on their confidentiality. But she said there is still work to be done. According to a survey conducted between October and November 2017 by the Kaiser Family Foundation and Episcopal Health Foundation, two-thirds of residents in Harvey-affected Texas Gulf Coast counties experienced property damage or income loss. The study also found the effects were unevenly distributed with Black and Latino residents and those with lower incomes. Latinos were the demographic most likely to experience employment disruption resulting from the storm. Nearly six in 10 Latinos who reported incomes below 200 percent of the federal poverty level (FPL) reported losing their jobs or having their hours cut back. Latinos making above 200 percent of the FPL were almost twice as likely as their white counterparts to experience employment disruptions. Loss of jobs, combined with fears of deportation in some cases, make Latinos especially vulnerable to depression and anxiety, advocates noted. “They’re scared to look for resources, so they would rather stay in their house even though they know it has mold,” said Margarita Romo, a promotora for Día de la Mujer. Romo personally knows of several cases in her community where Latina mothers have suddenly become single, one-parent households as their male counterpart has been deported. Other parents worry seeking mental health services could break their families apart when some members are citizens and others are undocumented. In the meantime, Romo keeps her eyes and ears open when she goes to the supermarket, to the doctor or anywhere she finds Latinos who could use resources. She keeps fliers handy to pass out to them should they need information such as help paying their bills or accessing mental health services.